Provocative, passionate and populist, RMB Manifestos are short and concise non-fiction books of literary, critical, and cultural studies. 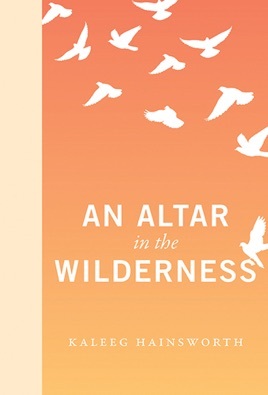 Father Kaleeg Hainsworth, an Eastern Orthodox priest with a lifetime of experience in the Canadian wilderness, grounds this manifesto in the literary, philosophical, mystical and historical teachings of the spiritual masters of both East and West, outlining the human experience of the sacred in nature. The spiritual ecology described here is fully engaged with the wilderness beyond our backyards; it is an ecology which takes in nature as “red in tooth and claw” and offers a way forward in the face of accelerating climate change. This manifesto also challenges our modern self-conception as dominators or stewards of the natural world, claiming these roles emerged from western industrial history and are directly responsible for the environmental damage and alienation from nature we know today. The ecological scope of this book begins with a meditation on natural beauty as the divine that breathes through all aspects of life. We discover along the way that awe and mystery are so vital to the human experience of the natural world that without them we are doomed to treat nature as little more than a resource, a science or a playground for recreation alone. Instead, a new role emerges from these pages, one which accounts for the sacred in nature and places us in relationship to the world of which we are inextricably a part. This role is a priestly one, and Father Hainsworth outlines the significance and benefits of it in detail while also offering a vision of life in which a human being stands in the world of nature as at an altar built in the wilderness, a sacred offering in a holy place.